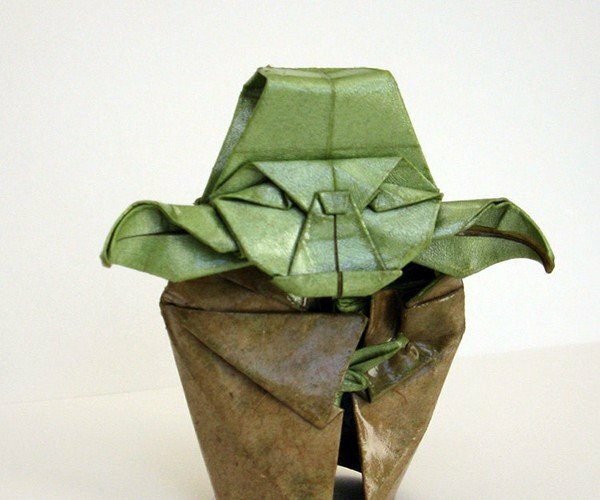 This laminated origami sculpture of the late great Grand Master was masterfully created by Etsy seller and papercraft Jedi catamation. 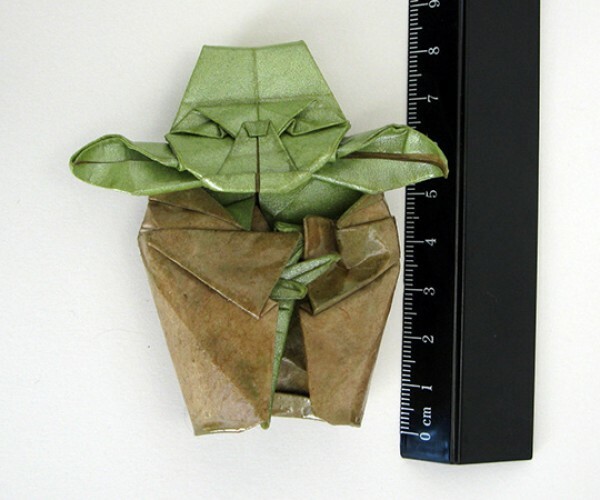 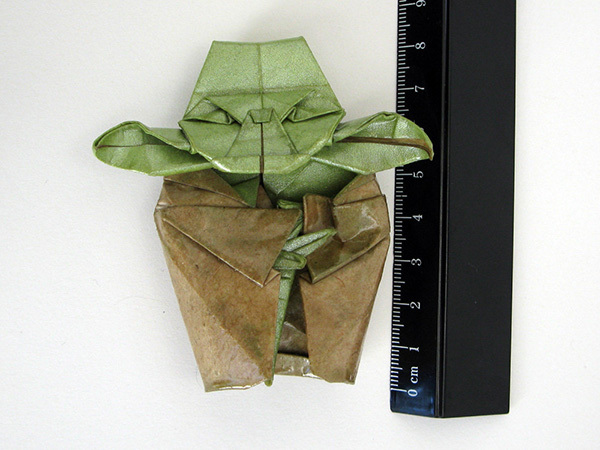 It’s about 3.5″ tall, or about one-tenth of Yoda, if the Star Wars Wikia is to be believed. 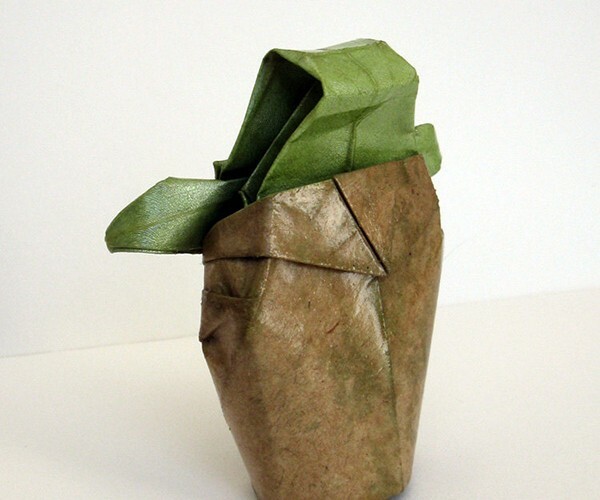 The sculpture is made from recycled brown paper and “swirly metallic lime green paper” that have been laminated together. 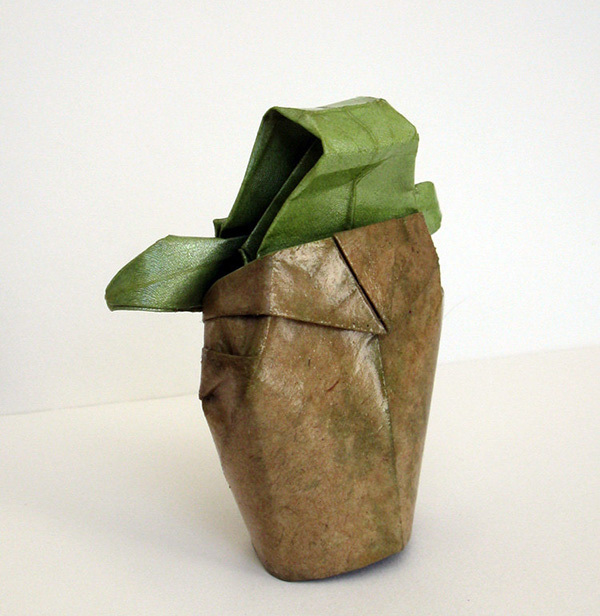 Catamation also gave the piece a coat of epoxy varnish for added durability and to protect the paper from fading. 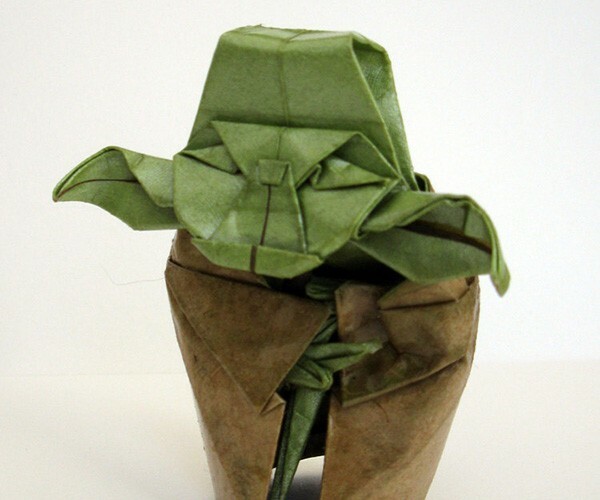 Yoda kinda looks like a potted plant, doesn’t he? 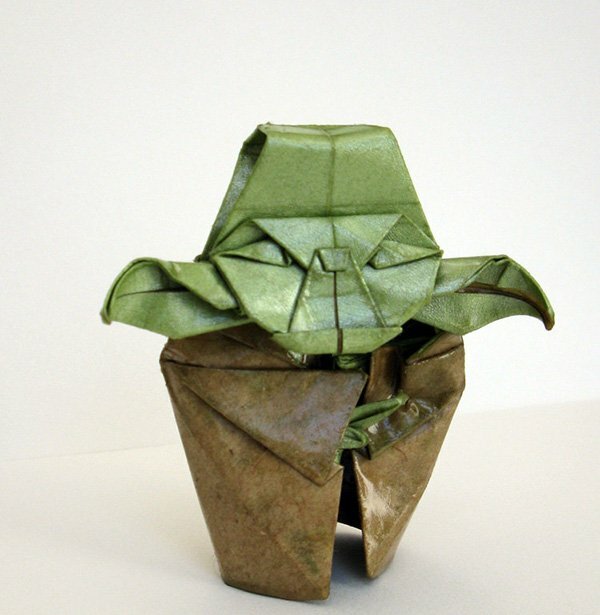 Anyway you can get this origami sculpture from Catamation’s Etsy shop for appx. 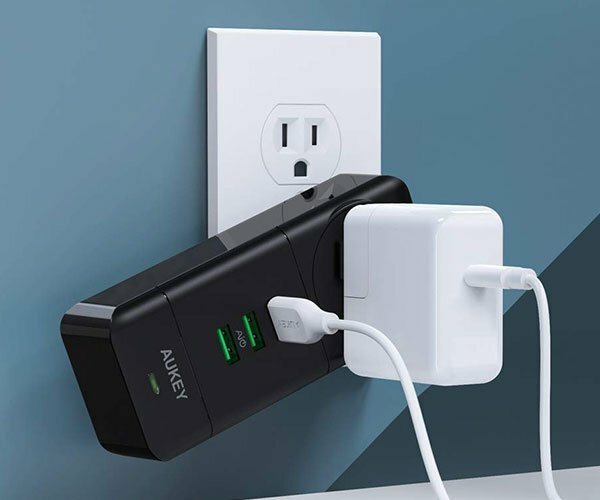 $24 (USD). 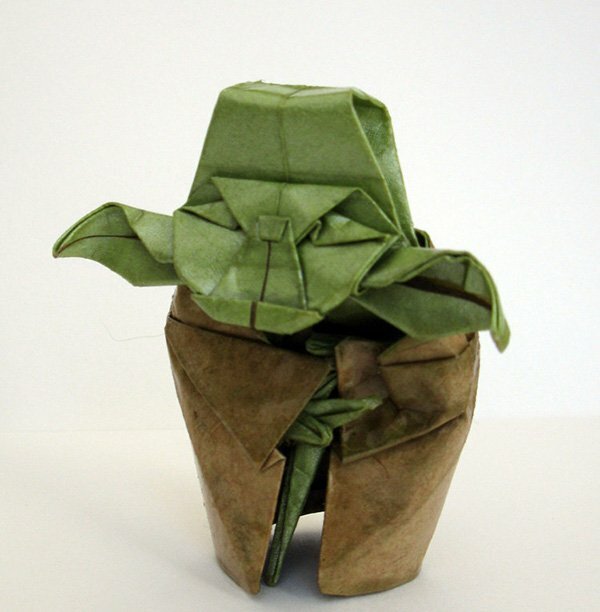 Be quick about it too, because there’s only one of this remaining; Catamation is having difficulty finding more of that special Yoda skin paper so there’s no telling if and when more will be made.